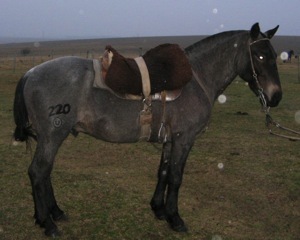 Fully Licensed in the UK with Weatherby's Non Thoroughbred Register as "Arrayan Numa VII"
14.2hh, Red Roan, born 2004. UPDATE MARCH 2016 - ARRAYAN NUMA HAS BEEN SOLD TO SUSAN GEORGE IN SOUTH WALES WHERE HE WILL STAND AT PUBLIC STUD TO A SMALL AMOUNT OF CAREFULLY SELECTED MARES. PLEASE FEEL FREE TO GET IN TOUCH WITH ME FOR SUSAN'S CONTACT DETAILS. WE WISH HER ALL THE BEST WITH THIS WONDERFUL STALLION. 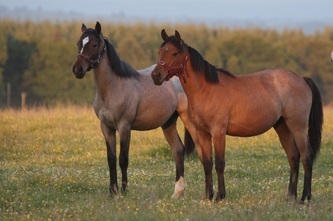 Arrayan was bred by Numa Mangado at Las Moras Stud near Monte Video, a stud which has bred Criollo's continuously since its establishment in 1934. 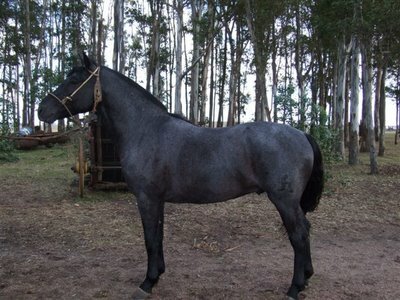 Arrayan was placed second in "La Marcha" in Uruguay as a three year old. This is a 750Km endurance race, to be completed in 14 days, at a minimum speed of 10Km an hour. 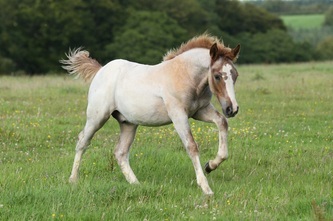 Stallions are required to carry 17.5 stone and live of the land, receiving no supplementary feeding for the duration of the race. 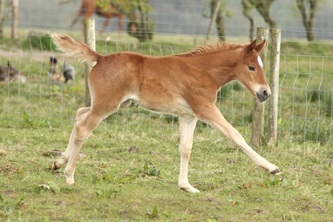 He has also placed in dressage and endurance in the UK with a small lady rider. As a pure-blood Uruguayan Criollo, Arrayan has a superbly trainable temperament which has allowed him to excel as a polo pony. 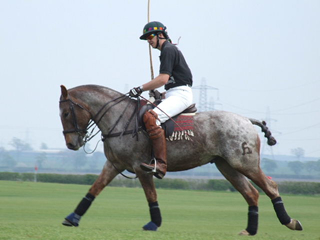 In his first season's polo at Perth's Spring Tournament 2008 he was awarded overall BEST PLAYING PONY for the entire two day tournament. 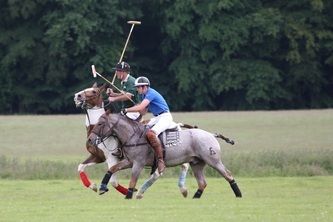 We were particularly pleased as there were ten teams and well over one hundred ponies taking part. Whilst Thoroughbred ponies may have the edge in a prolonged gallop his physique and temperament mean that he is almost unbeatable in a ride off and extremely quick to stop and turn. 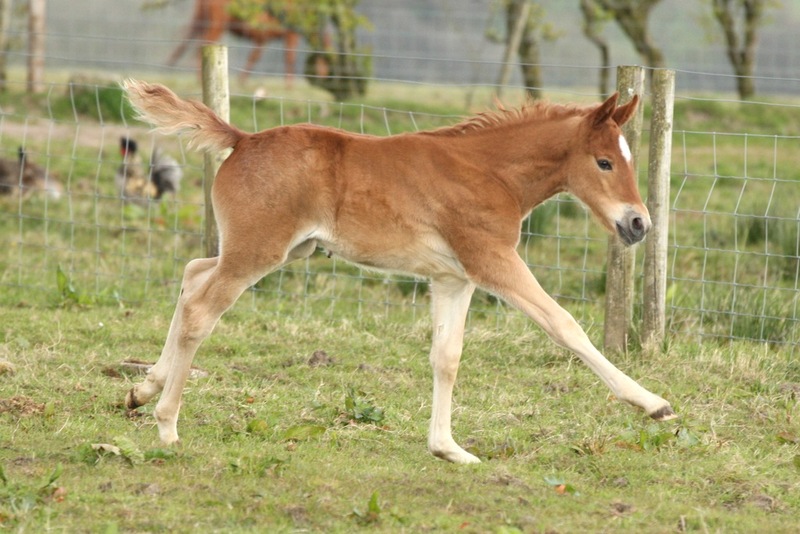 He is also so powerful that in a short burst of acceleration from a stand still he will often beat clean bred ponies to the ball. As an illustration of his temperament he will regularly cover in the morning, before traveling to polo and standing tied to the lorry with mares. This horse is an absolute joy to own and work with. 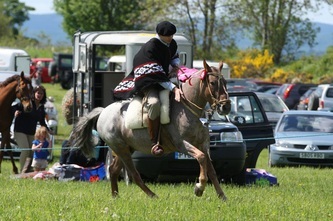 Arrayan is one of only a handful of Criollo stallions in the UK and a superb example of the breed. 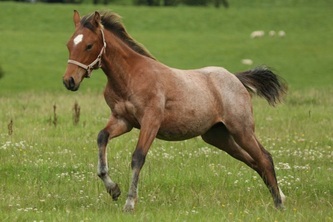 He is an excellent outcross to thoroughbred and lighter framed mares to add strength and soundness. Whilst not related to Arrayan our own mare, Pitufa, is an excellent example of a Criollo x Thoroughbred and has also won a BEST PLAYING PONY award. 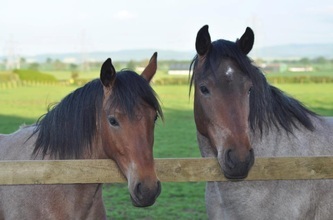 We are absolutely delighted with his offspring and in his first three seasons at stud he has been sent visiting mares by three different vets, as well as two of his foals being sold to a vet - surely testament to the quality and correct conformation he throws onto his stock. In 2010 Arrayan Numa was coat colour tested by the University of California as part of their current research into the roan gene. 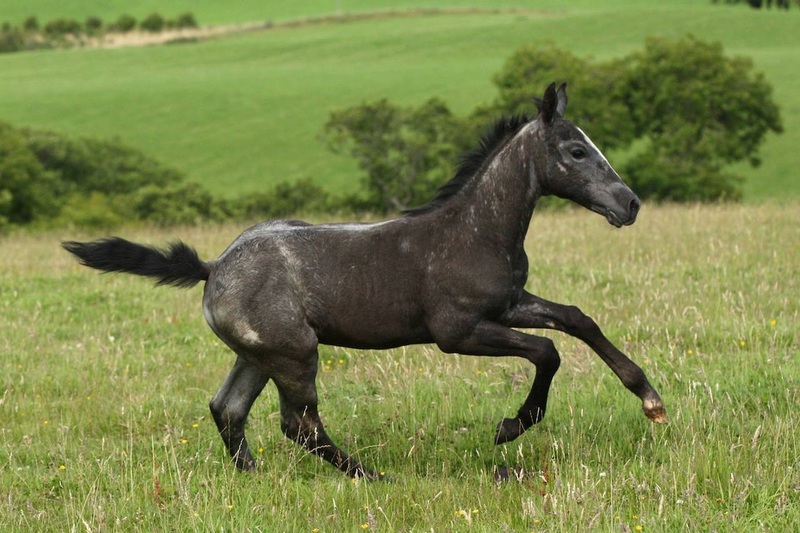 He has tested Homozygous for the roan gene meaning that all of his foals will be roan. We believe him to be the first tested Criollo and also to date the only tested homozygous roan stallion in the UK. With Arrayan's proven performance and temperament he is not only suitable as a sire of polo ponies but is also suited to breeding for endurance, western, working stock or just a tough, fun riding horse.